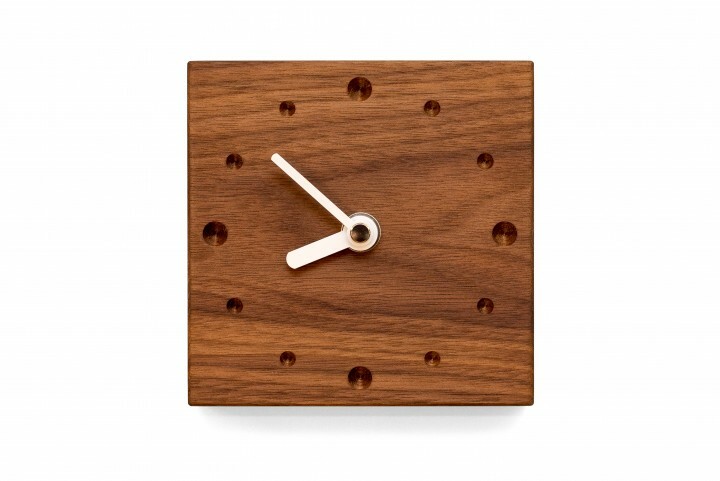 This square wall clock impresses with a contrast: the linear shape of the clock contrasts with the intricate grain of the wood. 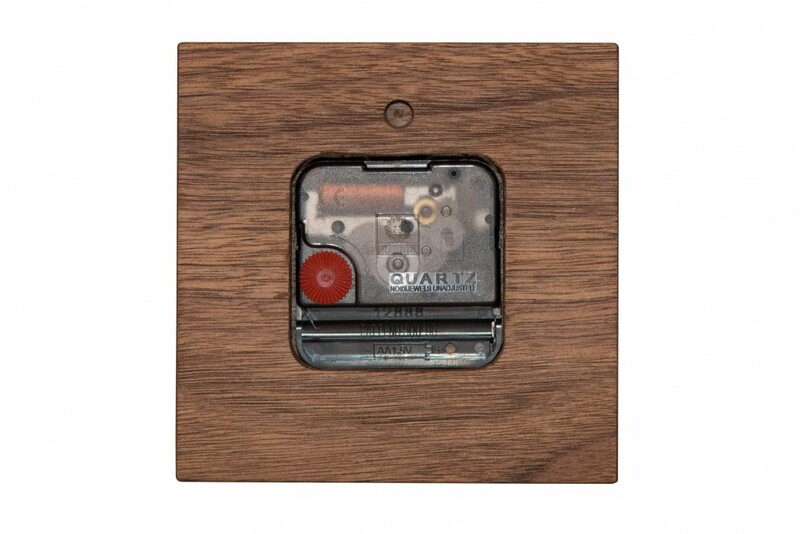 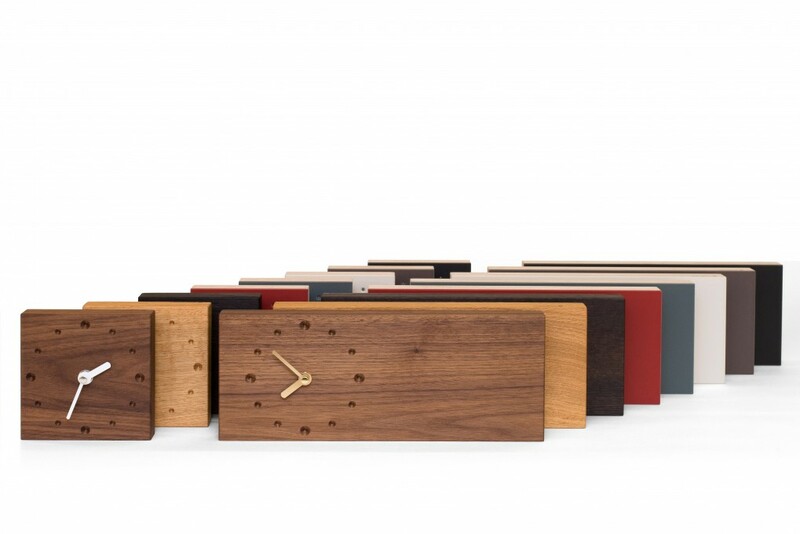 The super-silent clockwork ticks behind solid nut wood. 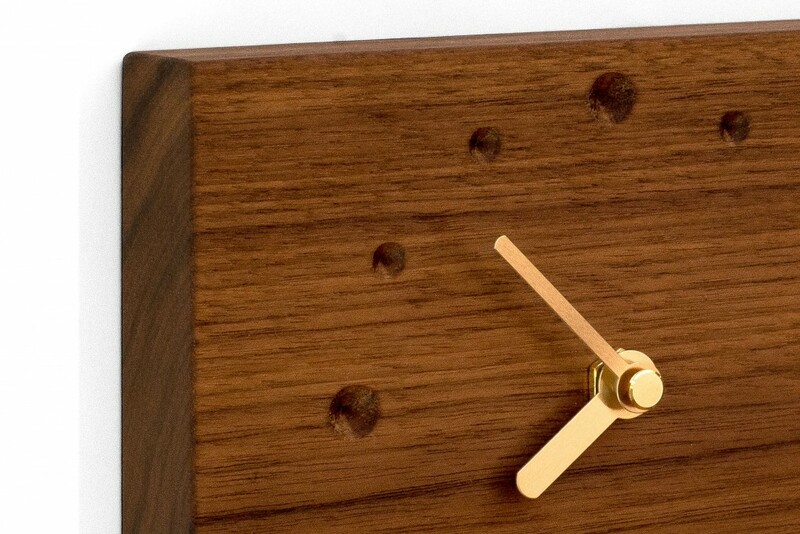 No numbers necessary due to the milled clock face. 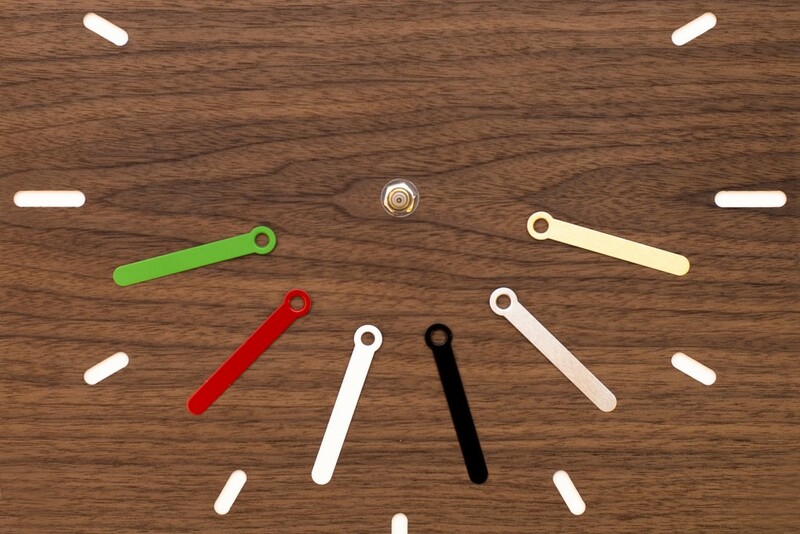 Choose between the colour options of red, green, black, white and gold for the sleek hands. 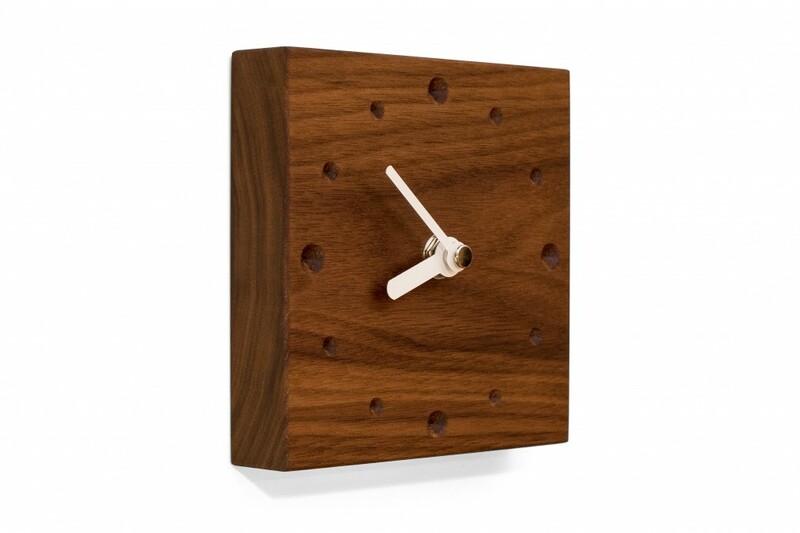 Our wall clocks are easily mounted with screws - it's not rocket science!